Did you know that 90% brain development occurs before your child can turn 5? This is why pediatricians emphasize that it is crucial for toddlers to get the right nutrition, which fosters timely and optimal development, both physically and cognitively. With the right combination of nutrients, you can not only enhance your child’s brain function but also help improve their learning ability and memory. According to Harvard Health Publishing of Harvard Medical School, to ensure brain development, your child’s food should contain adequate amounts of protein, zinc, iron, choline, folate, Vitamins A, B6, B12 and D, long-chain polyunsaturated fatty acids like omega-3 fatty acids and iodine. Another crucial nutrient is DHA or Docosahexaenoic acid, which is the main structural element of the human cerebral cortex, retina and skin. Unfortunately, the human body does not produce adequate quantities of this nutrient. So, you need to add it to the diet. The easiest way to do so is with a fortified milk powder, like Enfagrow A+, which is known to contain the right amounts of nutrients, including DHA. Eggs: According to an article on WebMD, eggs enhance the ability to focus and concentrate. They are a rich source of protein, while the yolk contains choline, which helps memory. Fish: Fatty fish like salmon are a great source of omega 3 fatty acids that boost both growth and functioning of the brain. Fish is also known to enhance mental skills. Whole Grains: Whether it is in the form of bread, rice or oatmeal, whole grains provide energy for the brain. They are also rich in the B vitamins, which is required for the development of the nervous system. Nuts & Seeds: If fish or eggs cannot be part of the child’s diet, opt for nuts and seeds, which are rich in essential fatty acids and protein. They are also great sources of Vitamin E, the B vitamins, zinc and iron, all known to foster brain function. So, include almonds, walnuts, flaxseeds, cashew nuts and more in your child’s daily diet. Veggies of All Colours: We’ve always been told that green, leafy vegetables should be a part of our daily diet. But, did you know that all vegetables that have rich colours are a rich source of antioxidants, which can help fight the free radicals in the brain? So, make sure you include all the colours, with tomatoes, potatoes, spinach, carrots, pumpkin and more. Milk & Curd: The best source of calcium and Vitamin D, along with carbohydrates, proteins and the B vitamins that help in the growth of the brain’s neurotransmitters, tissue and enzymes, dairy products are a must. If your child fusses about drinking plain milk, add a flavoured fortified milk powder, like Enfagrow A+, which comes in vanilla and chocolate flavours. Berries: Of course, fruits should be an essential component of every child’s daily diet. However, when it comes to the best food for brain development, you can’t beat berries. Rich in Vitamin C and antioxidants, berries can enhance memory and learning. In fact, it is said that richer the colour of the berry, the more nutrition it offers. So, choose from cherries, strawberries, blueberries, blackberries and more. 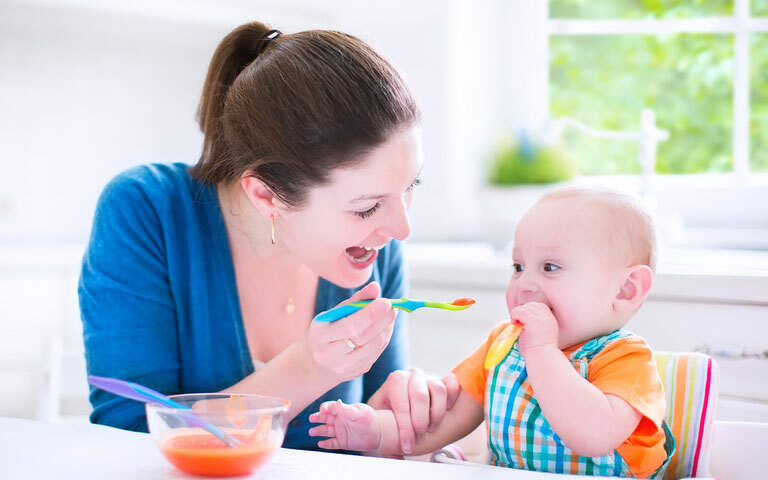 Have you ensured that your child is eating the right food for optimal growth and development?